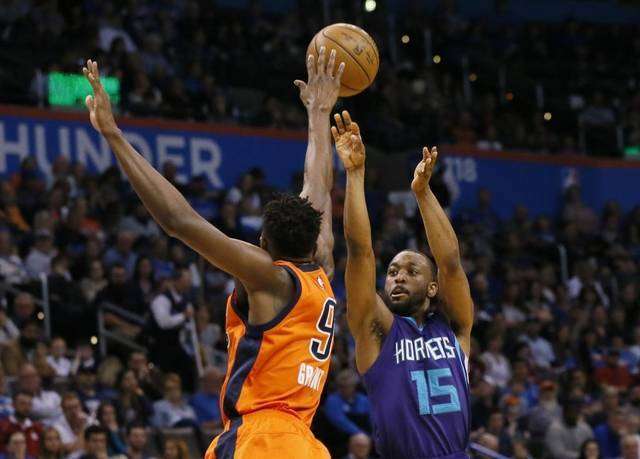 October 22, 2018 – The NBA announced today that Charlotte Hornets guard Kemba Walker has been named Eastern Conference Player of the Week for games played Tuesday, Oct. 16, through Sunday, Oct. 21, 2018. This is Walker’s sixth career Player of the Week, breaking a tie with Gerald Wallace for the most franchise history, as Wallace earned five between 2005 and 2010. During the week, Walker, who led the Hornets to a 2-1 record, ranked first in the NBA in points per game (35.3) and three-point field goals per game (6.3). He also averaged 5.3 assists and 3.0 rebounds per game, and shot .487 percent from the field, .500 percent from the three-point line and .765 percent from the free throw line during the week. Walker’s 41 points on opening night is the only 40-plus point game in the NBA so far this season. With 41 points, four assists and two steals against the Bucks on Oct. 20, Walker recorded his 10th 40-point game of his career, tying Glen Rice for the franchise record for 40-point games. He tallied 26 points, including five made three-point field goals, and five assists in the Hornets 32-point road win over the Magic on Oct. 19. Walker notched 39 points, seven assists and five rebounds including the go-ahead free throw with 0.5 seconds remaining on the clock of a 113-112 road win against the Heat on Oct. 20. The two-time NBA All-Star set the NBA record for most three-point field goals through the first three games of a season with 19 (previously held by Danilo Gallinari with 18 in 2009-10) and became the first player in NBA history to make five or more three-point field goals in each of the first three games of a season. Walker’s 41-point performance on opening night was the highest scoring opening night in Charlotte franchise history and was just the second opening night performance of 40 or more points and five or more three-point field goals in NBA history (Stephen Curry, Golden State). Walker’s three consecutive games with five or more three-point field goals ties Dell Curry for the longest such streak in franchise history. The all-time leading scorer in Hornets history, Walker scored his 10,000th career point during the third quarter of Saturday’s win over Miami, becoming the first player in franchise history to reach the milestone.